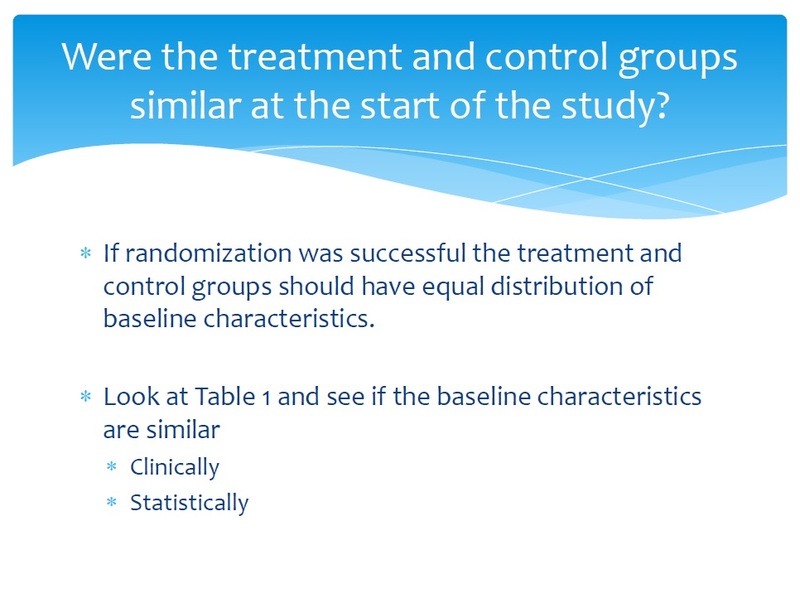 I teach an advanced EBM co-enrolled elective in the Spring semester to 3rd and 4th-year medical students.Below is a screen shot of the course home page. It’s open (all materials are free to use and anyone can take the course at any time). I hope to get some non-UAB students to take the course at the same time as my UAB students- a mini-MOOC so to speak. Students will use social network tools extensively to enhance learning. Students get a say in what they learn. I have designed the learning modules but I encourage students to develop their own learning module to replace one of the ones I developed. Students will learn the value of social media for finding, creating, and sharing information. Students will learn about personal learning networks and how to cultivate them. Students will be exposed to learning activities they probably haven’t been exposed to in the past or used very much (e.g. jigsaw activity, curation, concept mapping, blogging, tweeting) in medical education. I hope these changes will enhance the ability of students to make meaning of this material. If nothing else I enjoyed creating a new class. On Friday September 23, 2016 I am presenting a workshop on developing open educational resources (OERs) at the UAB Research and Innovations in Medical Education conference. This Hyperdoc is a self-guided version of the workshop. These are the Google slides I will use at the presentation. I became very interested in openness during recent coursework for my Master in Educational Technology degree. I blog about my experiences in that course here. If you want a good overview of openness download The Battle for Open ebook by Martin Weller. Now it’s your turn: Tell me what you think of the materials or open resources/learning/publishing in general. I did a workshop on how to design multimedia slides to be consistent with Mayer’s Cognitive Theory of Multimedia Learning. The workshop materials are below. https://docs.google.com/presentation/d/1zNPsZNNODQxywAH9QZxi6mSgrxh4P08UYThO5ckfP5Q/edit?usp=sharing : These are the Google slides I used for the workshop. Or do you think students would learn more deeply from this slide? 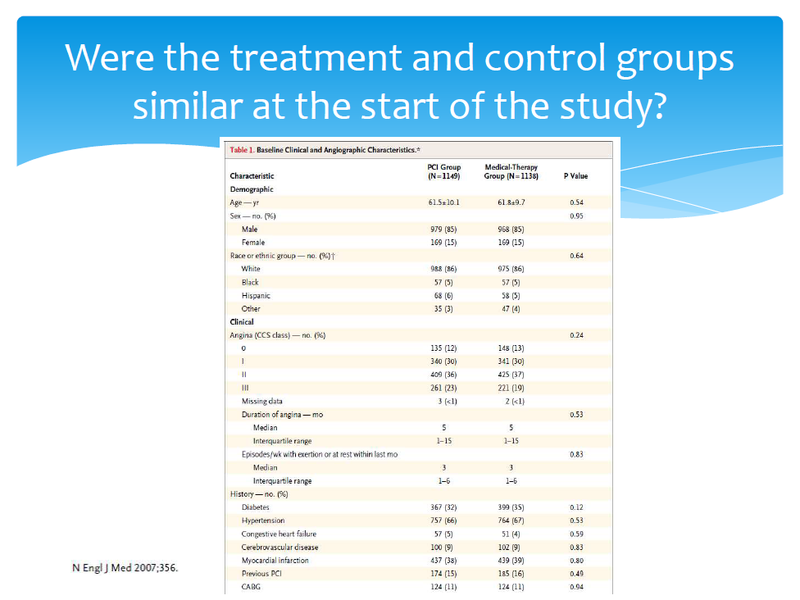 The words at the bottom of the slide would be spoken by the instructor while the graphic is displayed. Research would predict version 2 is better and will lead to deeper understanding. But why? What is different about them? Version 1 violates the modality principle which states that people learn more deeply from multimedia lessons when words explaining concurrent graphics are presented as speech rather than as on-screen text. In version 1, the visual channel would have to simultaneously process the graphic and the printed text. This would likely overload this channel. In contrast, in version 2 the education message is split across separate cognitive channels- the graphic in the visual channel and words in the auditory channel. It’s more important if the material is complex and presented at a rapid pace in a lecture. If the learner can control the pace of the material the modality principle is less important. What’s the evidence for this? The modality principle is supported by more research than any other multimedia principle. Mayer identified 21 studies published through 2004 and found an average effect size on transfer tests of 0.97 (effect sizes > 0.8 are significant, 0.5 are moderate). Or do you think students would learn more deeply from this slide? Version 1 violates the spatial contiguity principle which states that people learn more deeply from a multimedia message when corresponding words and pictures are presented near rather than far from each other on the page or screen. In version 1 the words describing the image are at the bottom of the slide. The learner will have to look away from the graphic to find this description and then hold it in working memory (remember working memory is limited in capacity and time it can hold an object) while he looks back to the image and tries to process them together. This can overload cognitive capacity and impair learning. 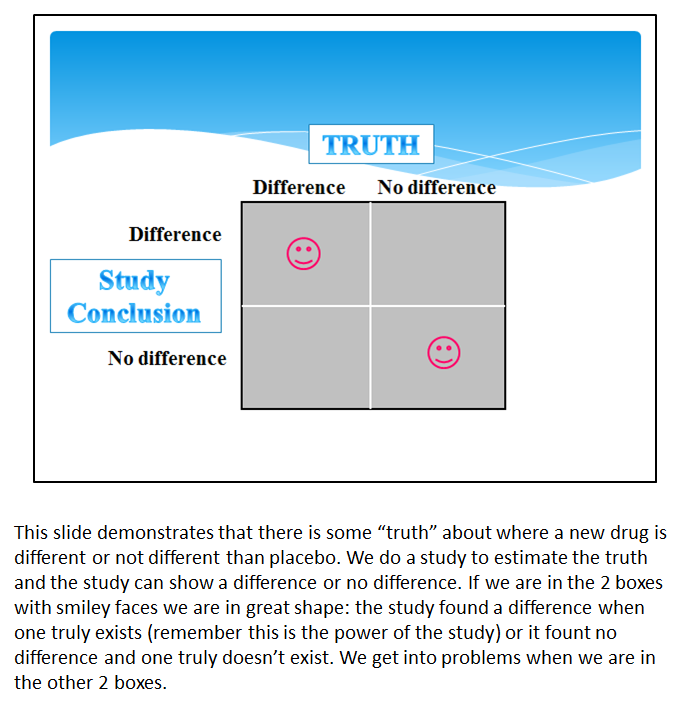 Version 2, on the other hand, has the words right next to the corresponding graphic thus reducing cognitive work. This is especially important when words refer to parts of on-screen graphics. Watch the following video about how to calculate the number needed to treat. Will students learn deeply from this video? Research would predict they won’t because the instructor violated the temporal contiguity principle which states that people learn more deeply from a multimedia message when corresponding animation and narration are presented simultaneously rather than successively. Cognitive capacity will be overloaded because the learner has to hold all of the relevant words in working memory until the animation is presented. This principle is especially important when narration and animation segments are long and when students can’t control the pace of the presentation. What’s the evidence for this? Mayer, in Table 12.7 in the Cambridge Handbook of Multimedia Learning (2014), summarizes 22 studies on spatial contiguity published through 2012 and finds an average effect size of 1.10 (effect sizes > 0.8 are significant, 0.5 are moderate). 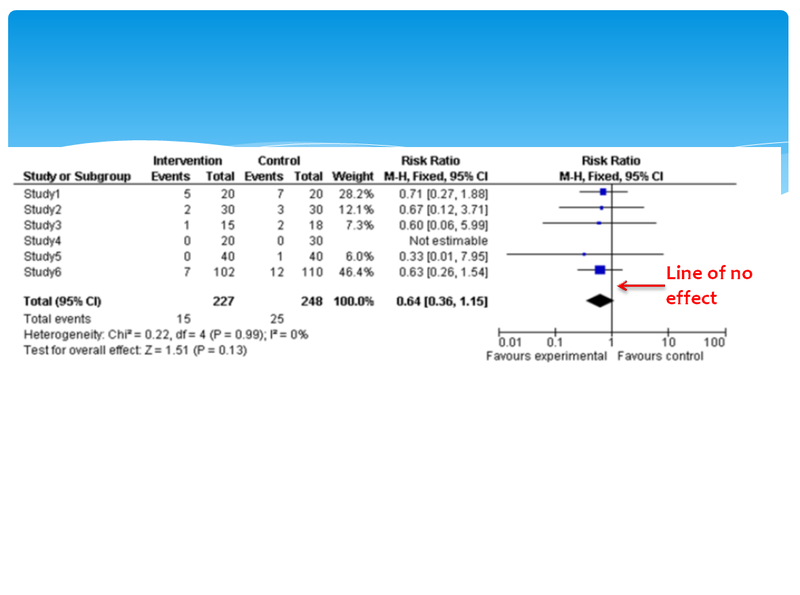 Table 12.8 summarizes 9 studies on temporal contiguity published through 2008 and finds an average effect size of 1.22. Thus, following the contiguity principle leads to deeper understanding. 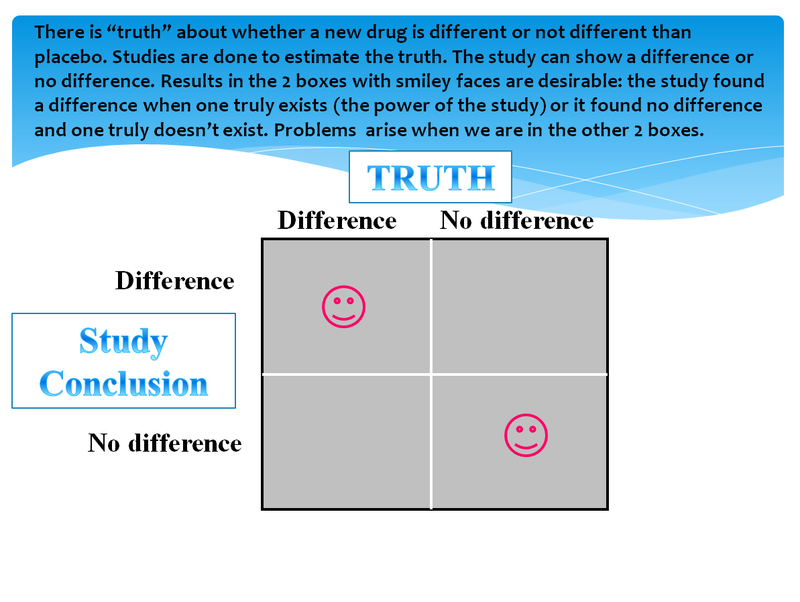 The following is a slide I might use to teach about one of the criteria for critically appraising a therapy study. What do you think about it? Will students learn deeply from it? The multimedia principle states that people learn more deeply from words and pictures than from words alone. Why might this be? 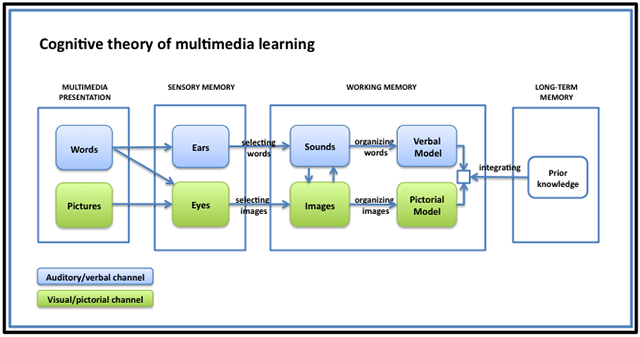 Reflect upon the cognitive theory of multimedia learning and think about why the multimedia principle leads to better learning. Here is another version of the previous slide that better adheres to the multimedia principle. (Note: Would you like to enlarge the image? If so, please click on it). What do you think about this one? Will students learn more deeply from it or version 1? Where are the words you say? They would be spoken during a lecture explaining the same information on the version 1 slide. They just aren’t typed out on the slide. Another format would be to put the written words in the notes area in PowerPoint. Research would predict that students will learn more deeply from version 2 than version 1. Why? Remember active processing occurs where we take words and images and develop verbal and pictorial models. The words and images work together to help learners develop the models. Words alone can lead to more cognitive work for the learner to construct a model. Also, words alone might not be effective in activating prior knowledge which we need to do so that it can be integrated with our new model which then leads to learning. I have left out an important explanation here (can you guess what it is?) but it is a multimedia principle of its own and will be covered in an upcoming post. Are all images created equal? What kind of images should I use? The answer to both of these question is that it depends. Lets focus on what you are trying to teach first. If you are trying to teach a motor skill or complicated manual tasks animated images or video seems to work better. Static images are better or just as effective as animation for everything else. Static images seem to be better for promoting deep understanding. 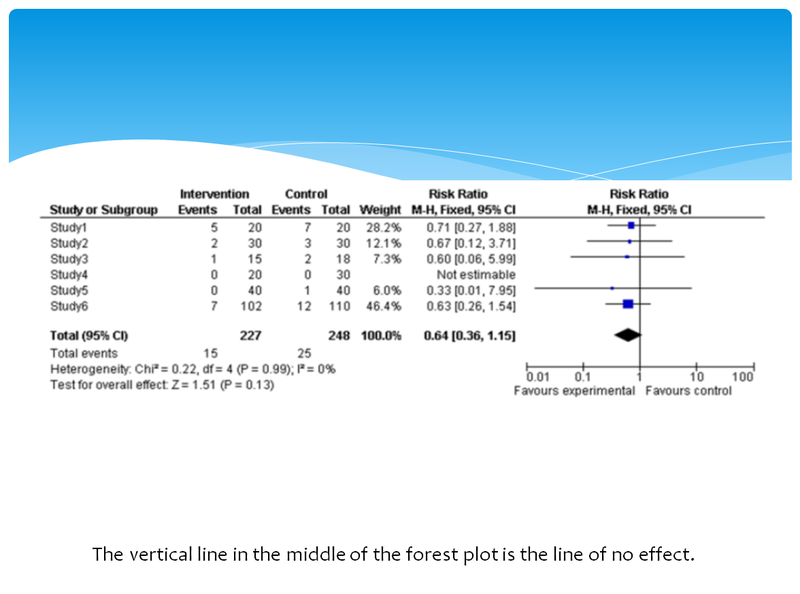 Which graphic below do you think would lead to better understanding about heart function? A or B? Butcher (2006) found that simpler visuals (a) led to better understanding. 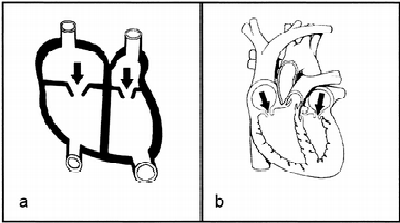 The simpler visual led learners to make more attempts to understand how the heart works than the complex visual. Making more attempts led to better mental models. It seems that too complex of images can overwhelm novice learners. What’s the evidence for this? Mayer, in Table 7.1 in the Cambridge Handbook of Multimedia Learning (2014), summarizes 9 studies published through 2006 and finds an average effect size on retention tests of 0.19 and for transfer tests of 1.63 (effect sizes > 0.8 are significant, 0.5 are moderate). Thus, this principle shows weaker effects for retention but good effects on deeper understanding. I am going to have a series of posts on multimedia teaching principles. I am pursuing a master degree in instructional design and educational technology and as I am learning about instructional design I am realizing how poorly I have designed much of my teaching materials. Furthermore, violations of the principles I will discuss in this series is very common in medical education. Its not the fault of the instructors as they haven’t been taught these principles. For some reason in medicine we assume doctors and PhDs know how to teach. The point of this series will be to present multimedia design concepts that have been proven in the educational literature to improve learning based on tests of retention (do you remember the content based on simple recall) and transfer (can you apply the information to solve a closely related problem). We all teach using multimedia materials. If you put words (spoken or written) and images together in a presentation that is a multimedia presentation. So this series will be applicable to all teachers. This first post will set the stage for future posts. The theory upon which all other posts will be based is the Cognitive Theory of Multimedia Learning by Richard Mayer. When words or images are presented to us we first have to determine which words or images are important (or which portions of them are important). After we select words, images, or sounds that are meaningful, we organize them in our working, active memory into verbal and/or pictorial models. We then actively integrate these models with activated prior knowledge to create new knowledge (learning). Multimedia presentations should be designed to facilitate this process. During the remainder of this series I will present evidence-based ways to do this. I will delve further into the Cognitive Theory of Multimedia Learning when I discuss how this process is affected by each of the design principles.